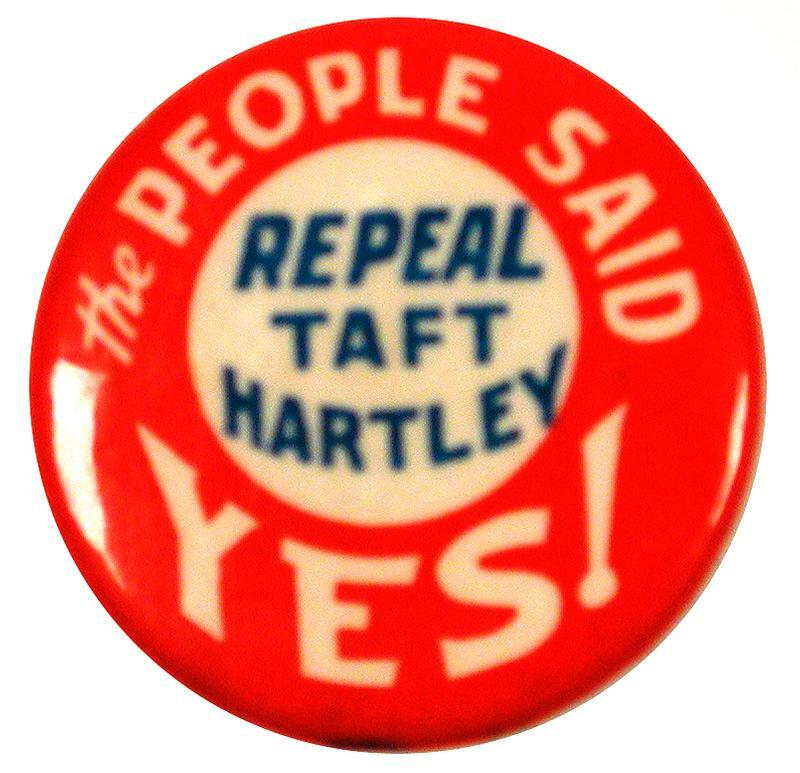 This button symbolizes the vigorous effort by labor and its allies to repeal the Taft-Hartley Act (1947), which is still on the books. It earned the title of “Slave Labor Law” by its provisions outlawing secondary boycotts, the key to labor strike solidarity, and by setting the stage for the passage of misnamed “right-to-work” laws that rendered “union shop” contract provisions illegal. See also the rally in Madison Square Garden to repeal the Taft-Hartley Act and this beautiful political necktie in support of its repeal.